The Larks and the Owls – chronotypes and desynchronosis. Time for an individual approach with MEQ-SA analysis? The practical management article in this month’s edition of the Clinical Journal of Sport Medicine by Charles H Samuels highlights a difficult problem facing athletes and their support staff that is commonly encountered during air travel, that of the issue of jet lag. Samuels makes the point about the difference between travel fatigue and jet lag (desynchronosis), defining the former as a constellation of physical, psychological and environmental factors that impact over time on an athlete’s capacity to recover and perform, and the latter being defined as a number of symptoms occurring following travel between time zones. 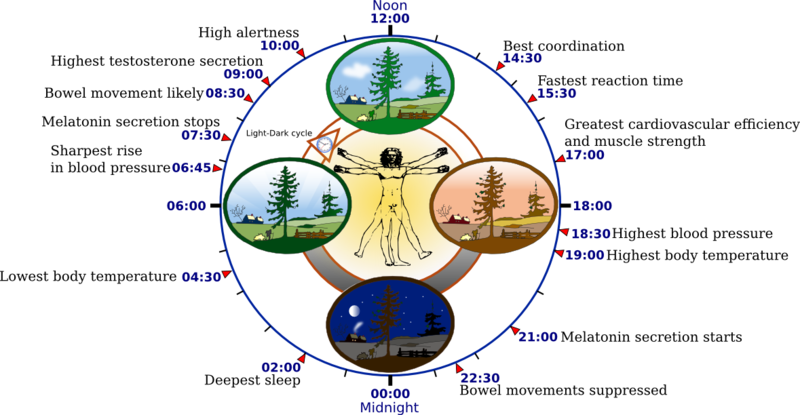 The key to the understanding of these concepts lies within the study of Chronobiology – the field of biological science that examines cyclical phenomena in living organisms and their adaptation to solar and lunar rhythms. Human beings are normally diurnal creatures, usually being active in the day and sleeping at night. However, as many night and shift-pattern workers will attest, many of us are required to adapt to different patterns of activity and sleep as part of our everyday lives. Some of us are able to cope with these pattern shifts better than others, whereas extremes of sleep-activity outside the normal range may cause a person difficulty in participating in normal work, school and social activities. Flight travel over different time zones presents a challenge for the individual as the body seeks adjusts its circadian rhythms to these different zones. A number of different modalities may be used in order to prevent athletes developing jet-lag, including the use of melatonin, preflight adjustment to travel, timed light exposure and avoidance, and changes in training schedules. However, it is interesting to observe that some individuals seem to suffer from jet lag more than others, and that there is variability in the efficacy of preventative and treatment strategies for desynchronosis amongst athletes. Why is it that some of us seem to cope better with time zone changes and shift pattern working? Perhaps the answer lies in an individual’s chronotype. Sleep researchers refer to ‘Larks’ as individuals who naturally wake up in the morning, contrasting with the ‘Owls’ who wake up and go to sleep late. These groups are also described as being comprised by individuals with ‘morning-ness’ and ‘evening-ness’ tendencies. Most people lie somewhere in between. However, there are some interesting differences between the groups with some researchers going as far as to suggest that disease processes may be directly influenced by morning-ness and evening-ness. This news feature in Nature, published in 2009, discusses some of these concepts in greater detail for those readers who may be interested to know more. Horne & Ostberg in 1976 presented a self-assessment morningness-eveningness questionnaire and this has been modified by others to produce an MEQ-SA. Those of you who may wish to objectively assess your lark-ish and owl-ish tendencies can find the modified MEQ-SA questionnaire and scoring table here. It is unclear which factors contribute to an individual’s chronotype, as there seems to be no clear correlation to gender, ethnicity, or socio-environmental factors. However, perhaps chronotype variation may go some way to explaining why there is such variability in the effect of different preventative strategies for jet-lag between individuals. If so, then the assessment of an individual’s chronotype may form an important part of an overall primary preventative strategy for travelling athletes and support staff, which may be best conducted as part of an individual approach rather than a team approach. Unfortunately, there is currently a paucity of literature on chronotype analysis in elite athletes in relation to jet-lag prevention representing an opportunity for further research in this area. 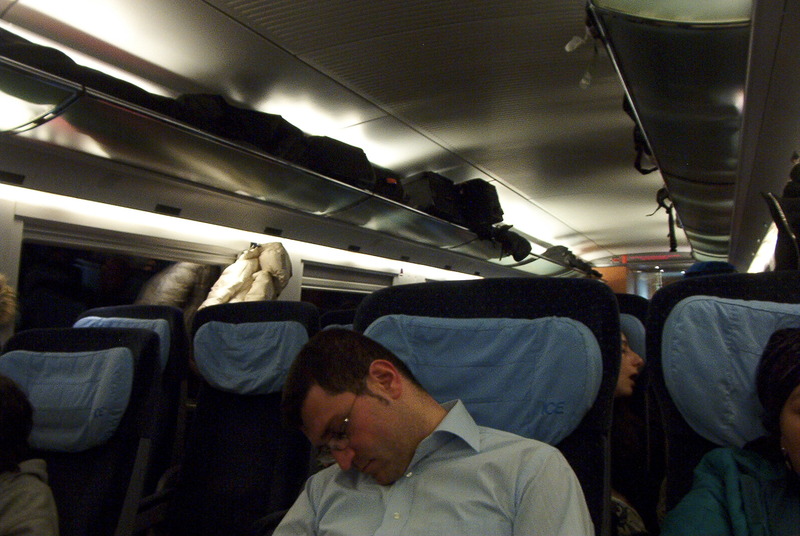 Are any readers using chronotype analysis as part of a jet-lag prevention strategy? CJSM would like to know.